In this video tutorial we will go through the basics of setting up a fully functional Flash web site. 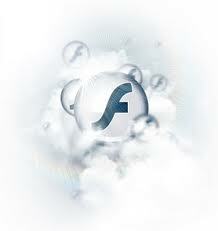 This is a very good tutorial which will show you exactly how to make your own Flash web site. In the Adobe Flash program, select “Flash File (Actionscript 3.0)” from the “Create New” menu. Switch the workspace layout by clicking on the dropdown menu in the upper left of the top menu bar, and selecting “Designer.” You can adjust the size and color of the document by adjusting the settings in the “Properties” panel. Divide your Flash document into four layers: Actions, Background, Menu, and Pages. To do this, go to the Flash timeline, and click three times on the “New Layer” icon so you have four layers total. Rename each one by double-clicking on the name, or holding the mouse down on a Mac. To add a background image, select the Background layer from the timeline. Then, go to File, Import, and Import to Stage, and select the image you want to use. You can change the size of the background in the Properties panel once the image is imported. Tip: To prevent accidental changes, lock a layer by clicking on the second dot directly to the right of the layer name. The dot should change to a padlock icon. Select the Menu layer from the timeline. From the top menu, select Windows, Components. In the window that appears, double-click the Button component under the User Interface section, which adds a button to the document. Position the button where you want the menu to be. Repeat this process to add as many menu buttons as you need. Select the first menu button you added. In Properties, change the instance name to “button1.” Change the name displayed on the button by selecting Windows, Component Inspector from the top menu. In the resulting window, change the label value. Continue this process for the remaining buttons. Tip: Make sure the instance name is a relevant label with no spaces, capital letters, or special characters. To add a title to your web site, select the text tool from the Tools panel. In Properties, change text attributes, like the number of lines, font, color, and size. Then, click on your document to add text. 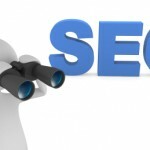 Create pages to add content to your site. Select the Pages layer from the timeline, and then click on the rectangle tool in the Tools panel. Adjust color and transparency from the Color panel. Then, draw a rectangle on the document to match the size you want your content to be. Add pages in the Pages layer. Hold down the Shift key, and select the Background layer. This will select every layer except for Actions. Right-click (or command-click for Mac) the first frame of the Pages layer and select Copy Frames. Right-click the second frame in the Pages layer, and select Paste Frames. This is where the second page will be. Continue this process for as many pages as you need. Add content. Select the first frame of the Pages layer. In Properties, change the label name to “page1.” Then, use the text tool from the tools panel to create the text for the first page. When you are satisfied, go back to the Pages layer, select the second frame, and repeat the process. Continue until you have content for each page. Select the first frame of the Actions layer and hit F9. In the Actions window, type a stop script to stop the pages from cycling. Hit Enter to go to the next line, and create a function for each button that tells it which page frame to jump to. Hit Enter and write a script that attaches the functions to their corresponding buttons, using the button instance name. Tip: To preview the document in action, go to Control and then Test Movie from the top menu. Publish the web site by going to File, Publish Settings. Check both the SWF and HTML boxes. Rename both files, and select a location to save it to. Then click publish, and upload all of the published files to your web server. To access the Flash page, just navigate to the HTML file on your web server. You’re done!